WAUKESHA, WI: The March issue of Trains magazine features advances at CSX Transportation’s locomotive shops, including research conducted with the Department of Industrial and Systems Engineering under the guidance of Professor Ravindra K. Ahuja (pp 31-32). The focus of the work is on locomotive scheduling, as noted in the article “The Spirit of Cumberland: At CSX’s historic locomotive shop, computer monitors are as commonplace as hammers,” by John Hankey. 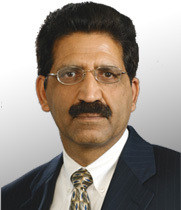 The research between CSX and Dr. Ahuja began in 1999. Today, Dr. J. P. Richard and Dr. Joseph Geunes and their students are also involved with research projects at the railroad company located in Jacksonville.